We start off the week with an update on the Marriott Lifetime Elites, help you get an Eritrea visa, a St. Helena guide if you now plan to fly there, the latest on the Marriott SPG transition, the United States of beer, we add another blog to the Like list, surf the biggest wave ever, catch up with Google, get you free elite status with National Car Rental, learn the causes of death, an amazing destination being built in Norway for astronomy fans and lots more! Always freeeeeeeee. For all, sad! The final word on the Marriott/SPG Lifetime status rules. Can we all move on now? Oh wait, here are more answers for the Marriott SPG transition. Just in case you did not get free National Car Rental Emerald Club Executive Membership for Visa Infinite Cardholders. Just in case you visit St. Helena now that there are airplanes taking you there…What to See and Do in St. Helena. Wait, since we are onto places around here where we will likely never see any Hyatt hotels, here is a very helpful post on how to get a visa for Eritrea. Enterprise is the biggest player at $22 billion in revenue last year. It owns Alamo and National. It has a fleet of nearly 2 million cars and trucks and owns about 38% of the market in airports. It has 7,700 locations around the world. Unbelievable! This is the Official World Record for the Biggest Wave Ever Surfed. At 80 feet! You probably should read this: 15 mind-blowing announcements Google made at its biggest conference of the year. I dont’t see myself outsourcing the phone call to the reconsideration line or trying to get me a retention bonus but…at this rate…it may not be too long! Dear readers, is it just me? With all the paywalls going up online, are we entering a new era of Subscription Hell? I think so and it just blows. But I understand the economics. Maybe I do this here and I keep you all 16 devoted readers. Ok, I am kidding…just thinking out loud! This is pretty long I admit: The Mystery of the Killer Vacation. But what a story wow! This is what plain greed does to people. It drives them to…kill sometimes. I’ll flip the switch to this guy for free! This is pretty useful imho. Keep it or Toss it? How long will your favorite food or beverage stay safe and tasty? What’s the best way to store it? Good stuff here: Nassim Nicholas Taleb Has Never Borrowed a Cent in His Life. I have an allergy to borrowing and a scorn for people who are in debt, and I don’t hide it. I follow the Romans’ attitude that debtors are not free people. Most people don’t understand how to handle uncertainty. They shy away from small risks, and without realizing it, they embrace the big, big risk. Businessmen who are consistently successful have the exact opposite attitude: Make all the mistakes you want, just make sure you’re going to be there tomorrow. It means people who make decisions in any walk of life should never be insulated from the consequences of those decisions, period. If you’re a helicopter repairman, you should be a helicopter rider. If you decide to invade Iraq, the people who vote for it should have children in the military. And if you’re making economic decisions, you should bear the cost if you’re wrong. Money can’t buy happiness, but the absence of money can cause unhappiness. Money buys freedom: intellectual freedom, freedom to choose who you vote for, to choose what you want to do professionally. If money is the cause of your worry, then you have to restructure your life. If nobody’s paying my salary, I don’t have to define myself. I find it arrogant to call yourself a philosopher or an intellectual…[or Thought Leader lol]. This looks awesome! I will link to the first trip report to this place I see online #hint. A spectacular destination for astronomy fans is being built in rural Norway. Causes of Death. Very educational. HT blog reader in the comments! Click on the interactive link above! Pretty self explanatory you guys: The United States of Beer. This song defined my youth and it still applies sometimes I am afraid lol. “I am not crazy!”. Can you imagine a Titan posting links to Suicidal Tendencies? Lol! The travel blog concrete and kitsch has been added to the Blogs I Like list. Great job you guys, the Eritrea post made me finally do it! I made the mistake to look at an email with my blog’s stats and compared it to one a few years ago…and it was extremely depressing. Blog earned 67 cents over the weekend while the darn lending folks at our favorite bank are taking their sweet time to approve someone’s business card…which was the last plastic click here. Have you noticed how the whining is back? It happens when clicks dry up. >>>>>>>Which Credit Card Should You Use At Hotels? because he says “I’m often asked by readers which credit card they should be using to maximize points for a given hotel stay.” Lol. On a positive note, I am back to playing soccer tonight with my “Gasping For Air” team as we lost two players to serious injuries…Hope it does not happen to me, thanks for your thoughts. Whining it out here, amazingly, makes me feel better…My blog is my own psycho therapy. For freeeeeeee! Them Celtics are getting better with each playoff game, amazing! I was up and actually on TBB catching up on the Sunday Best of post, but this one wasn’t up yet. I realized I needed to refresh, then I saw I had a chance at gold, if that’s any consolation. Subscription hell – why is the guy paying $200 per month for cable and cell?! That would cost you a grand total of $20 per month in the UK, assuming you stick with free TV (still about 100 channels) and can survive with under 10GB of 4G data on your phone. That’s sounds about right though for the US, or at least not unusual. My satellite TV bill is about $120/month right now (for a higher tier package w/ HBO) but even a basic satellite/cable will probably run you closer to $100 typically (after the promotional period). My cell phone is $35/month with Virgin Mobile with 5GB/month (which I often don’t use up). When you say 100 channels of free TV, do you mean streaming or over-the-air TV? Over-the-air stations where I’m at would tally up at about 4 or 5. Where my folks live, in a very rural area, it’s tough to get even 1 station to come in. Thanks for the shelf life link. That might help settle an argument with the kid. You must add “Secret Flying” to the Ignore list, come on! Woulda gone for the gold, but sleep had me in its grip! Sounds like “dog ate my homework” type excuse, come on man! I have never heard those words together in a sentence like that and may never again. I’ve never looked into using Turo. Does CC rental coverage even work when using something like that? The big rental companies sure could use some competition. Interesting points of debate. It seems like the individual Turo car owners should be paying sales tax since they are selling something. On the other hand why should they have to pay airport facility charges when they don’t have a facility on the airport? But I’m no expert on any of that so what do I know! I can’t really blame either side – they’re going to do what they can to the competition – same thing that’s been going on forever. Ugh yes, subscriptions are getting so annoying. I can understand the need to make money from what you do. Somehow society tends to have this assumption that everything on the internet should be free just because. Whereas in the past you generally had to pay to read a magazine or newspaper (aside from reading for free at the library or doctor’s waiting room!). Yet at the same time, I don’t want to subscribe to X newspaper online just so I can read an article from them once or twice – maybe just let me buy one day’s edition just like the hard copy version? Ever since that Bengazi Miles Guru kid posted about his experience with Turo (like…getting the car stolen!) I steer clear of that company. But maybe things have improved as they are still around? Anyone can comment? I believe Google has a thing coming out that can centralize all these different subscriptions. There has to be a service that we can put money and then pay for that NYT or Bloomberg or whatever media source we want to read instead of setting up subscriptions with all of them, that is just plain nuts! We tried out TURO as a crazy, risky venture (to me) last summer in San Diego. BEST DECISION EVER. With six of us, there is no way we can rent a van for less than $100/day. All car rental coupons include vans in the exceptions. UBER, etc. starts to get pricey if we’re not augmenting with transit. We found a gorgeous van on TURO and rented it for a week for less than $400. It was a fantastic experience and I’d do it again in a heartbeat, knowing there’s a higher risk of cancelation, but also good stuff (owner picked us up at the train station and later drove us to the airport). Great, thanks a lot for the feedback! Does CSR give you primary collision insurance on Turo? I would live chat with them and get confirmation. Our best CC coverage was actually through Discover and I checked with them twice to make sure before I booked and got it in writing. They covered just like a car rental. He should be doing posts like his idol Lucky who is on a roll today Monday with another mega pump post how to use 80,000 Ultimate Rewards points…And I can’t even get one $#@* cc click for almost two weeks, WTF! Oh George. You were doing so well without the whining.Why don’t you just quit? Well, at least you did not choose the handle “Sleepless in Seattle”! So, I try to pump a little I get attacked. So, I whine a little bit I get attacked. I keep doing what I am doing and readers abandon me. then and stop responding to each email and comment and spending hours to cull through the blog wasteland so I will serve it to you Disgustingly in Denver! Phuck it2, time for some Suicidal Tendencies for you DiD! Time to end the nonsense! Crap, that was the wrong video! Do you have a business with a lot of expenses? 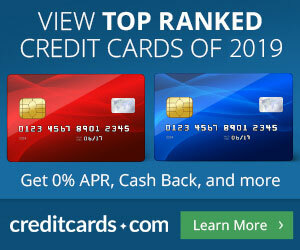 This card’s benefit package is seriously stacked, with a sign up bonus I value at around $2,000, $500 in statement credits the first year, and the best lounge access out of any premium credit card. There will be a post tomorrow here TUESDAY! Thanks to the reader who got the Ink Business Preferred card! Still no shot for minimum wage per hour but at least getting closer wooooohooooo!